At least 5,000 years ago tantric visionaries, inspired by the deepest reverence and passion for unveiling the sacred beauty and mysteries of life, developed what we know as the practice of Hatha Yoga. As described in the various tantric texts, Hatha Yoga includes the following practices: asana, pranayama, bandha, kriya, mudra, mantra, meditation as well as practices pertaining to kundalini awakening, along with a seemingly endless array of other techniques and knowledge. Tantra, by providing infinite ways to expand the reach and power yoga, is its most complete and sublime approach. Incorporating the wisdom of ayurveda and the whole of brahma vidya (“supreme science”) or knowledge of the underlying reality, tantra provides a direct and accelerated path to achieving life’s ultimate aims. Tantra’s core principle asserts that through self-knowledge and the cultivation of our innate power, we can unfold our fullest potential and thus achieve both worldly and spiritual prosperity. This training is open to practitioners and teachers of all levels. 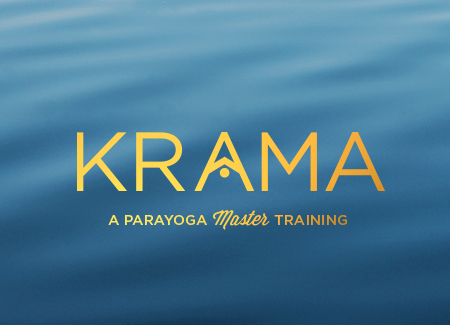 ParaYoga® Level III Master teacher and guide, Tanya Boigenzahn, will lead students, through theory and practice, on a journey of self-empowerment and discovery. The training will demystify the tantric approach to yoga and explore its key touchstones of practice and wisdom that open the doorway to thriving: physically, emotionally, mentally and spiritually. This Master Training is open to all interested students: dedicated practitioners, aspiring teachers, or those already teaching. Using the traditional tools of Hatha as our foundation we explore, through practice and theory, Tantra as the full flowering of yoga, as well as, its uniquely profound approaches to meditation. Practices will weave together dynamic vinyasa flow, asana, bandhas, and mudra in combination with breath work, meditation, and visualization techniques. This is a stand alone training, as well as included in the 340hr Devanadi Yoga Teacher Training & Intensive. Owner and founder of Devanadi School of Yoga & Wellness and Thai Yoga Bodywork, LLC, Tanya shares her passion for yoga, tantra and Sri Vidya in her 235/340hr yoga teacher trainings, as well has full programs certifying students in Thai Yoga Bodywork and Reiki. Her 25+ years of practice and 22+ years of teaching experience have shaped her capacity to share not only the lifestyle and science of yoga and its branches, but also include her study of Ayurveda and Yoga Therapy as well as the business of yoga. Tanya has taught many yogis over the years and specializes in holistic health and dharma work. She mentors students regularly, and is honored to help shape the future of modern yoga with her work integrating the subtle healing arts with yoga. She is honored to lead ParaYoga Master Trainings internationally as well as in her advanced 340hr teacher trainings which includes 3 PYMTs (Vinyasa Krama, The Four Desires & Tantra Shakti). It is recommended that you read it before the workshop begins. For those of you interested in receiving course credit for your Level I or II Certification with ParaYoga and/or the Yoga Alliance RYT program, the reading and its corresponding book report is mandatory. In order to receive future credit toward RYT and/or ParaYoga® certification, your book report for this training needs to be submitted to Tanya within six weeks after the completion of the training. You will not receive credit for submissions after the deadline; there are no make-up assignments. Payment Plan: $795 – Pay 1/2 now to hold your spot (includes the $100 non-refundable/non-transferable deposit), then we will run the balance automatically on 8/23/19. Cancellation Policy: No refunds. This training requires 2 week notice of cancellation by phone or email. You will receive a studio credit, less $100 cancellation fee per registration. If cancel within 2 weeks of a training, payment is forfeited, and no studio credit will be given. No shows will receive no credit. Payment Plan Notes: YOU MUST SIGN UP ON A COMPUTER (not a phone/device) to enroll due to MindBody Online payment options. Sign up before Early Bird Date to use the Payment Plan, otherwise all payments must be in full.